The only steel frame with tubes with a star sections. Three stocking colours with custom paint schemes available. 17 sizes, 49-65cm. 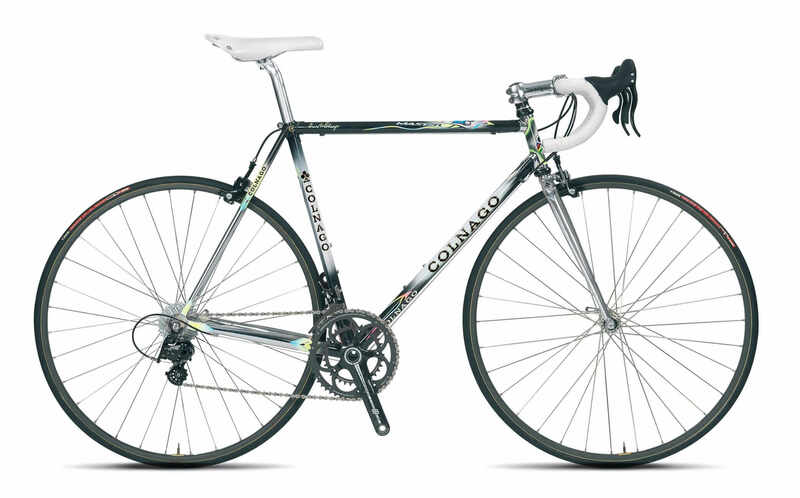 Where the legend of Colnago started. A timeless jewel of timeless style, with its stellar steel tubes, chrome lugs and the Precisa fork. Hand-made in Italy with paint jobs that need to be seen in person.